Fast honing diamond surface with the realigning function and convenience of a traditional butcher's steel. 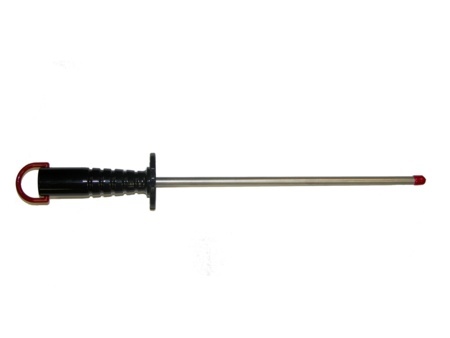 This diamond sharpening rod has a sanitary black plastic handle with a large guard and a color-coded ring for easy grit designation and hang-up. Rod measures 12” x .375” (304 mm x 10 mm). Choose from fine or extra-fine grits.